When studying Manchester during the 19th century it is important to take into consideration the societal factors of this period. With the emergence of the Industrial Revolution, life in Manchester was greatly affected in many aspects, mainly concerning the lower classes. This spurred a response from many individuals like Thomas Horsfall, who wanted to bring culture, art, beauty to the working and lower classes. He believed it was the duty of the thriving upper classes to provide these experiences for the poor in order for them to be more attuned to the power of nature and its beauty. The parks movement was vital in bringing greenery to the city of Manchester, which had been completely industrialized, and it played an important role in Horsfall’s art movement for the lower classes. Horsfall’s focus on social reform for the working classes, inspired what would become the foundation for town planning within England. He saw and studied how those in Ancoats lived and he found it to be deeply flawed. His interest in the environment of the poor led to his development of methods in order to improve it. He understood that it was unrealistic to bring every individual to the countryside and therefore decided to bring the countryside to them in the form of paintings and drawings of various countryside scenes and objects, such as, birds and flowers. Horsfall believed in the importance of nature and art with the utmost devotion. He saw art as more than itself—for him it became an experience to grow closer to God’s beauty and message and it also became an opportunity to provide culture and education for the lower and working classes. Horsfall often said that "knowledge and love of beauty are one of the chief aids to the growth of religious feeling, and probalby this statement hardly needs evidence to prove its truth, to those at least who love beauty. For to love beauty is to see it almost everywhere, to have, that is, our power of loving,–and love is an essential part of religion,–strengthened by constant activity" (Horsfall, 1883). Comparably to many of the Romantic movement thinkers, Horsfall saw the significance in the study of art and nature as a means of becoming a more well-rounded individual and closer to God. "Lines Written in Early Spring," a poem by William Wordswords that first appeared in Lyrical Ballads (1798), speaks to those who live a common life—as suggested by the easy language and the background settings of a rural life. Wordsworth believed that nature was a place where man could find himself and it would be in nature where his passions could come to life. Wordsworth recognizes the individuals need to connect with nature in order to become more engaged with reality. He brings Nature to life and personifies her as an individual who has the power to create—closely relating her to God. Wordsworth uses a great deal of personification throughout this poem to give various aspects of nature human abilities. He focuses a great deal on the events that naturally occur in nature and gives characteristics to these various elements the capability of being able to feel and enjoy their existence. Wordsworth ends the poem questioning: “Have I not reason to lament/ What man has made of man?” He questions how man can coexist with the beauty of nature, while they partake in wars and “unnatural activities,” and it is in this last line of his poem in which he regrets what man has become. Wordsworth exemplifies a great deal of sadness and melancholy towards humanity within his poem. "Early Spring" was significant to those of Ancoats, Manchester who read it almost 100 years later. Ancoats, an artificial and man-made environment, that was created and grown by an industrialized capitalistic society, is the anthithesis of the basis of Wordsworth's poem. Wordsworth called for individuals to connect with nature, and yet this poem was being read by the people of Ancoats--a city in which people served the machines. 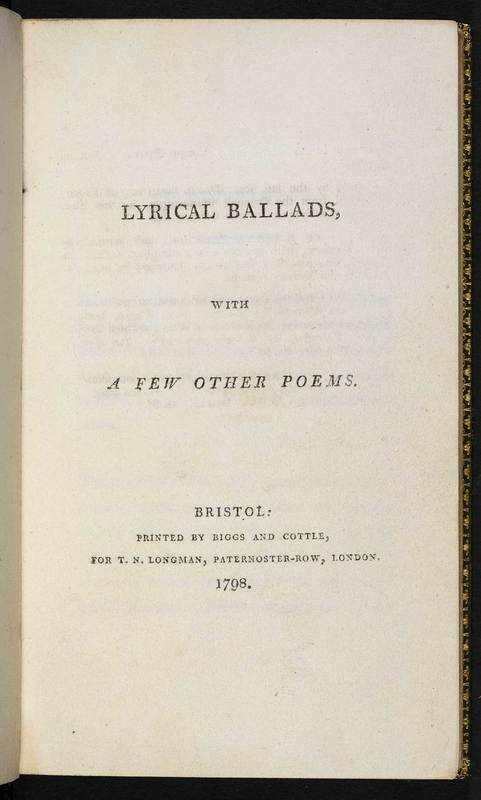 Wordsworth and his works strongly encompass the ideals of the Romantic movement. Along with Horsfall and Ruskin, he saw the importance in everyone being able to have some sort of education in the arts. Many individuals of the Romantic movment believed in the importance of having a relationship with nature, because its beauty could lead one closer to God. The poem, depicting nature in a detailed and romanticized manner in which each individual can paint their on mental picture, helps confirm the importance of the development of public parks within the Victorian Era. Emily Gertrude Thomson, Rest Harrow, 1881. 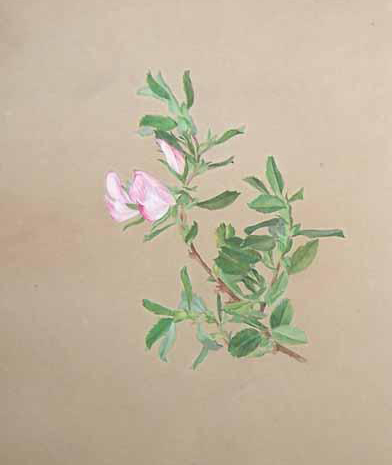 This botannical study is of a pink flower with leaves. In great contrast with Wordsworth’s poem, this painting lacks a great deal of details and deeper meaning and emotion. However, this painting is significant because it hints to plight that Horsfall faced. He wished for everyone to be able to enjoy the various aspects of art, however, when there were individuals who did not know what flowers were it was hard for them to show their appreciation for it. Therefore, a lot of the artwork found in the Horsfall museum were pieces used for education of the lower classes and those who visited the museum. This painting represents the main ideals of Thomas Horsfall’s movement. He wanted to bring art and nature to those who could not or did not know how to appreciate it. The extremely simple nature of this artwork shows the practicality of some pieces of art. It shows the importance of nature within Horsfall’s movement and the accessibility to art. James Hey Davies, Study of an Ash Tree in Summer, 1883. 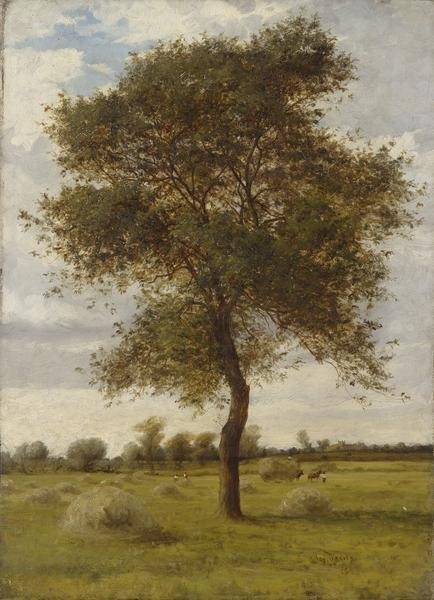 This painting portrays an Ash tree in the summertime in the foreground and a meadow in which workers are gathering hay in the background. This painting differs from Emily Gertrude’s, in the sense that it paints a realistic picture of scene one could find in the countryside. Horsfall wanted to encourage people to visit these landscapes they saw on the canvas. Horsfall, along with many other philanthropists wished to introduce a sense of the countryside to those living in Manchester, who were used to extreme amounts of overcrowding and pollution. This is especially relevant to Horsfall’s movement because he not only wanted individuals to become educated in art, but he wanted them to see nature in person for themselves, as well. He wanted individuals to spend time outside of the crowded and industrialized city, and venture out into the countryside to experience nature and its beauty for themselves. This painting highlights the importance of experiencing the beauty and artwork of nature for oneself. It also brings attention to the various forms of artwork that held importance in Horsfall’s eyes and how he wanted the lower classes to become educated in the arts through their own experiences. 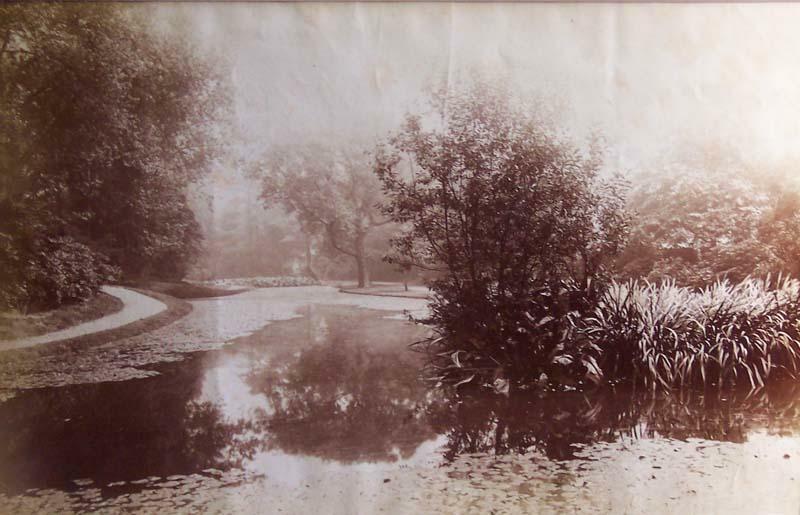 Artist Unknown, Botannical Gardens, Old Trafford, 1890. "…little progress could be made without a substantial increase in state intervention. Overcrowding—associated with high rents and the lack of decent accommodation—the foulness of air and water, the dreary sameness of landscapes without trees and shrubbery, let alone parks and playgrounds: none of these urban blights could be eradicated individually" (Meacham 45). The parks movement developed as an apparent need and desire to improve living conditions in the overcrowded and quickly-growing industrial cities. At the start of the parks movement, public parks were seen as a necessity in order to provide open space within cities and they soon became known as the ‘lungs’ of many over-industrialized areas. The “open spaces” had the ability to improve the nation’s physical health and simultaneously greatly improve their moral health as well. Public parks and their beauty were thought to create and sustain a happier environment, and therefore allowing for happier citizens. The majority of the land bought for use as public parks were purchased mainly by town councils or donated as gifts to the city, by upper class individuals who supported the movement. The public parks served many purposes within Manchester and other cities alike. First and foremost, they were purposed for functionality and utility. Cities such as Manchester had a great need for an increase in the health of its people. Parks and their open spaces reduced the amount of toxins and waste in the air caused by the factories. Secondly, parks were used as educational tools for the working class who previously did not have access or basic knowledge concerning nature and its beauty. Lastly, public parks became the foundation for what are modern-day sports. The public parks movement can be seen as a necessary outcome of both the Industrial Revolution and Horsfall’s social reform movement. During a time of great congestion and dreariness in Victorian era England, there was a need for a different approach to a repeated problem. Public parks not only served functional and educational purposes, but they also brought physical beauty to these over-industrialized cities.